Goodness. This past week was intense. Packing. Moving. Unpacking Shopping. Assembling. Prepping. Meeting new people-ing. 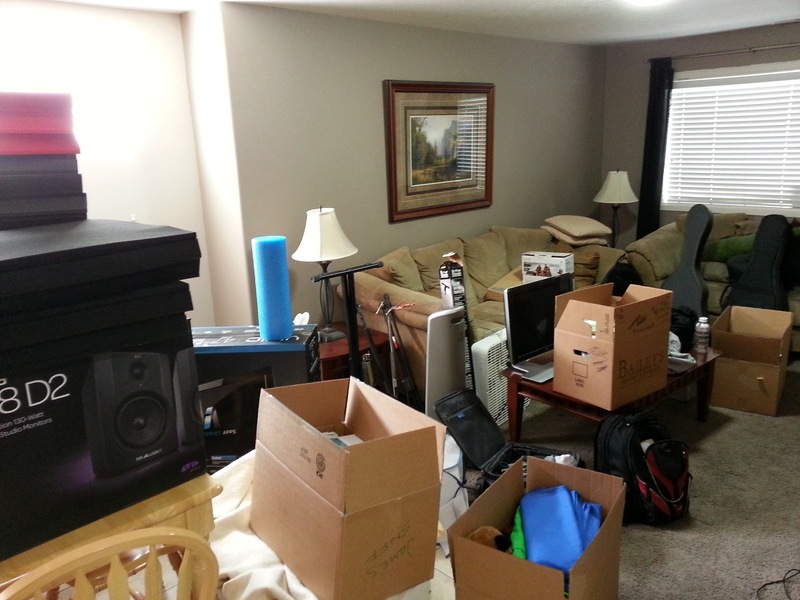 It all began as I packed up my stuff back in Provo, Utah. Select people of Provo were a little unkind to me that last day and wouldn't let me park my truck and trailer in order to allow me to load my stuff into them. I was initially planning to leave Friday night around midnight (night of July 4th), but because I was sooo done with Provo, I left around 7:00 pm just to hasten my escape from the doldrums. A small fraction of the many farewells that were said. It wasn't until my room was completely cleared out did things really sink it. It was then I became excited, and even more anxious to leave. Though I didn't have any concrete travel plans, I still just wanted to get on my way. I guess all of my solo traveling in China has taught me to "just go" and enjoy the adventure ahead, whatever it may be. 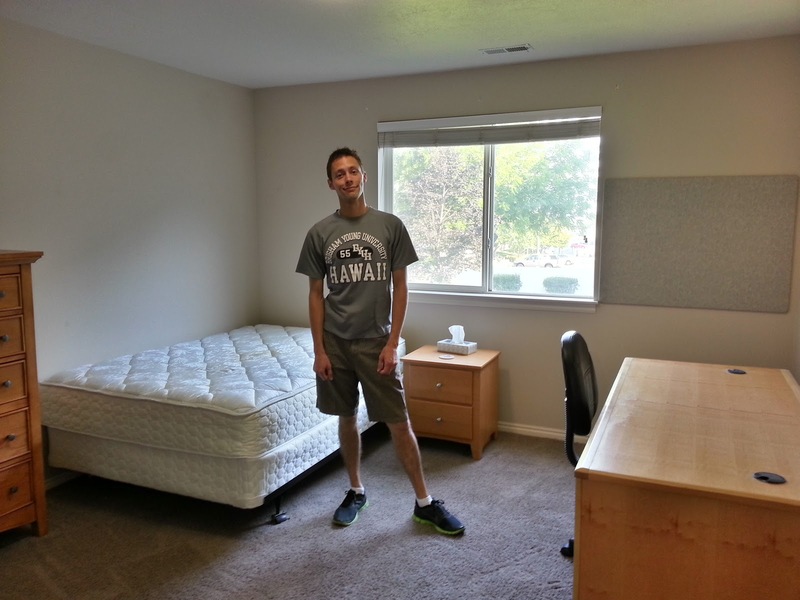 Standing in my empty room at Timpanogos Gateway apartments, the last of my college apartments. As a result of time complexities and parking difficulties, my stuff sat in my front room for a day or two. Luckily my roommates were pretty cool with everything. 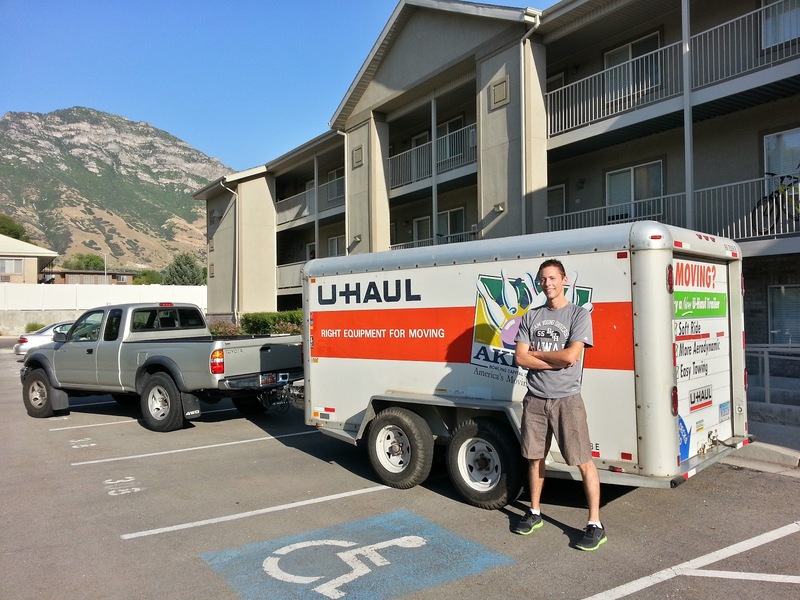 Finally, after 5 1/2 years of BYU I was finally leaving Provo, for good! I spent a fair amount of time during the previous two weeks driving around, reflecting of all the things that had happened while attending BYU. I could write a book about it all. Oh wait, I am. After two hours of driving, I stopped for dinner at Fillmore. That Carl's Jr. Closed at 9:00, so after I took this picture I ate at a nearby Burger King. While ordering my food everybody stared at me like I was some kind of exotic outsider. At around midnight I was pretty tired. 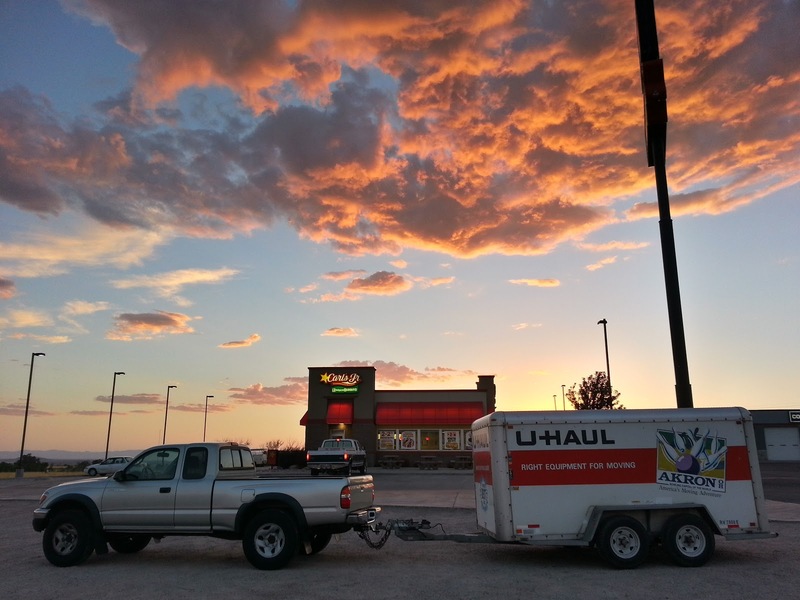 I pulled over in Cedar City and checked into a Hotel 6. The lady at the front desk was very nice. I got into my room, set my alarm for 2:00 a.m., and took a nap. At 2:00 a.m. I was awake and back on the road. I listened to Linkin Park over half of my total drive. I've had gallbladder issues lately and pulled over a few times to vomit (I tried to hold it back because throwing up kills my voice.) 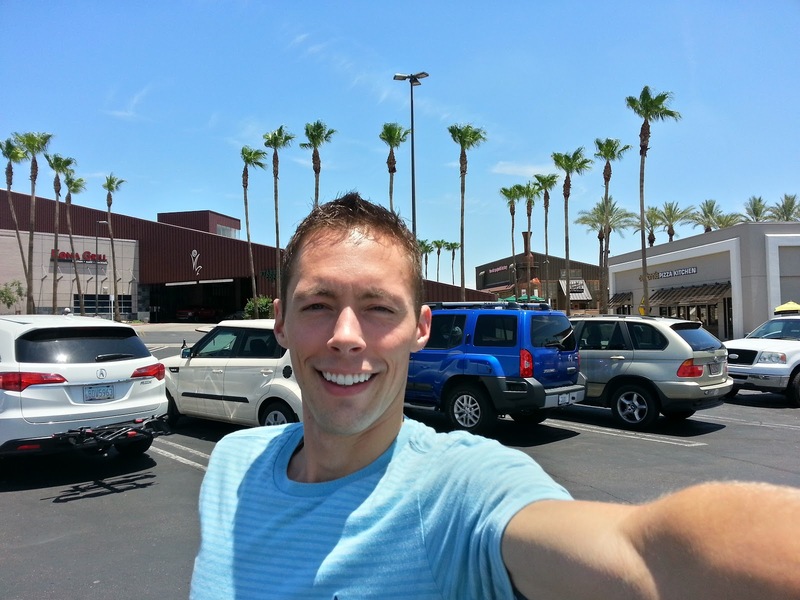 I puked while passing through Las Vegas, but other than that I kept it down. Pleasant, I know. Hours of sun flower seeds, Linkin Park, driving, beautiful scenery, and a very slow mph. My sister Christy is in her third trimester. I'm going to be an uncle! 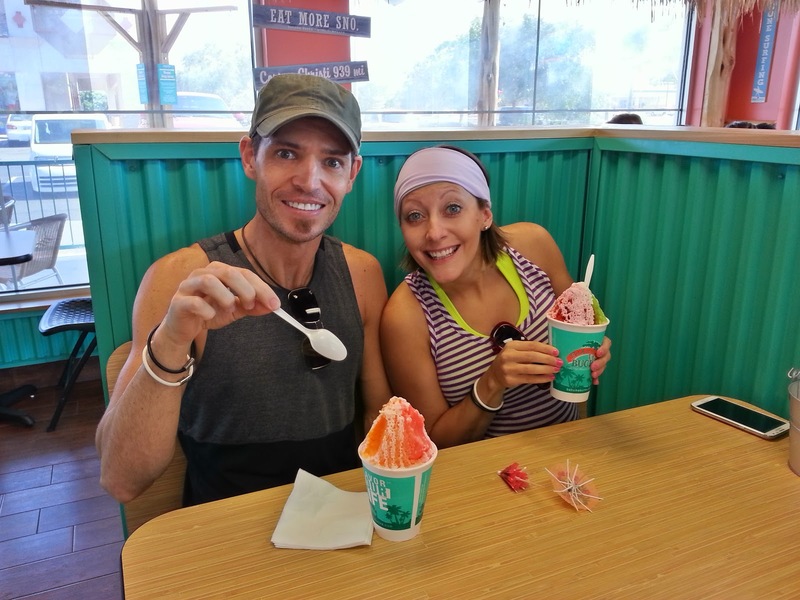 Ben & Christy took me to a place called Bahama Buck's. I can't describe it. Other's might say "It's a snow cone place that's really good! The ice they use is the best!" But even that doesn't do it justice. You simply have to try it yourself to find out how amazing it is. I don't like snow cones, but I absolutely loved what I had there. Eating snow cones at Bahama Buck's! Saturday morning, after my first night's sleep in Arizona, I woke up because there was a cockroach on my leg. Goooooooodness. Moved in. Now what? I had an entire week until I started my new job. Well, I had a lot to do, so I got to work. Though I didn't get internet until Wednesday. It was seriously the most horrible thing ever. I went to church, but was on the verge of puking, so I kept to myself. I was a bit bummed about that. Though I went to FHE and Institute later in the week where I made some new friends. 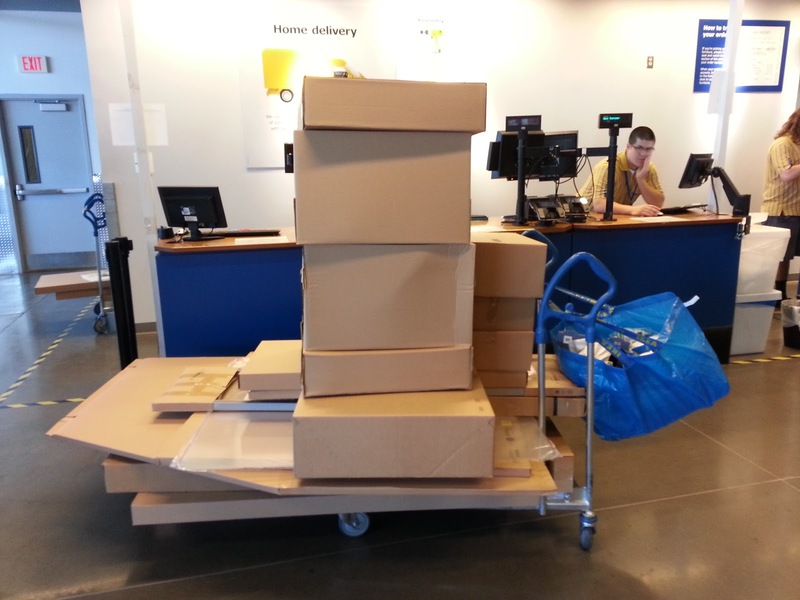 I went to IKEA! I really enjoyed going there. It was fun to dream and look at all of the really nice expensive stuff. I am still on a student budget, so I only purchased necessities, and cheap ones at that. Regardless, it was a very expensive week for me. Assembling all of it took all week. But at least it gave me something to do. I finally live in a warm/hot place that has palm trees! I love them! My mom still says she misses palm trees (she lives in Utah but grew up in L.A.). There are so many shops and places to eat here. Freeways run all over the place and the giant malls are filled with people. I live by a really big mall that has a lot of really cool stores in it. I got a haircut and the girl cutting my hair was like, "So, do you go to a singles ward?" I immediately thought, 'I thought I put Provo behind me...' Anyways, there are still TONS of Mormons around here, which I like. The warm weather invites people to be outside at night. The night life here seems to be the busiest time of day. Walking down the sidewalk you pass groups and groups of people eating outside on a patios of restaurants. I absolutely love it. One night I went to a park with some new friends. 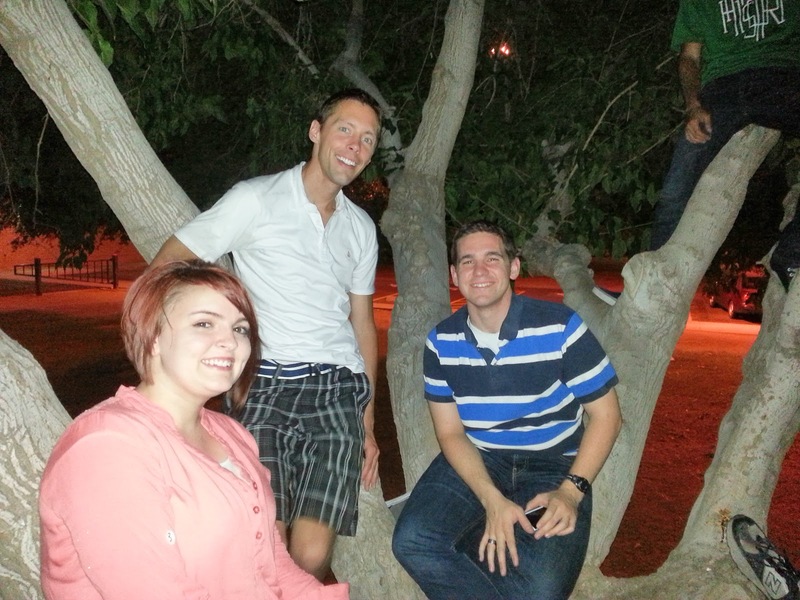 We climbed up into a tree and chilled there for a while. There must have been 8+ people in the tree at one point. Chillin in a tree with Taylor, Robby, and some others. 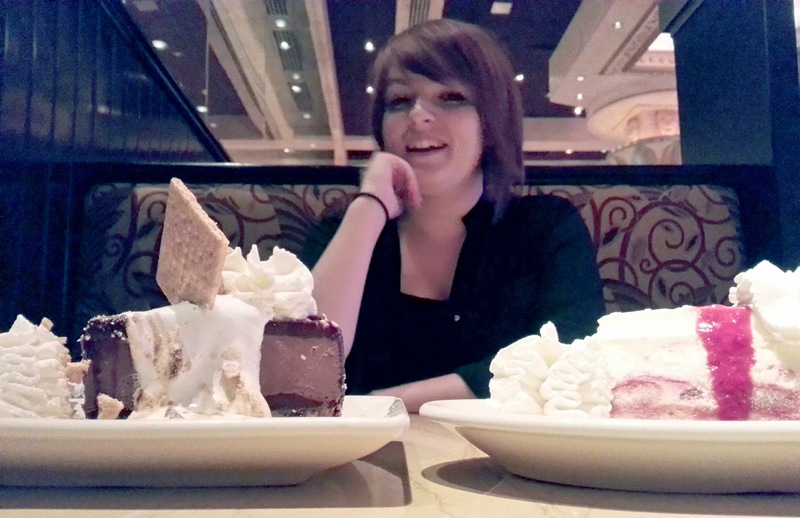 Then I asked a girl to get cheesecake with me late one night. She's really cool. By this time we were already Facebook friends, and since all of my public Facebook posts are generally somehow related to me being a gay Mormon, I assumed she already knew I was gay. She didn't. Oops. I came out to her while eating cheesecake and goodness, I forgot how much I hate doing that! She's totally chill with it, just like everyone else. I love coming out to groups of people at a time, but coming out to an individual is so much different. It was a good reminder for me. 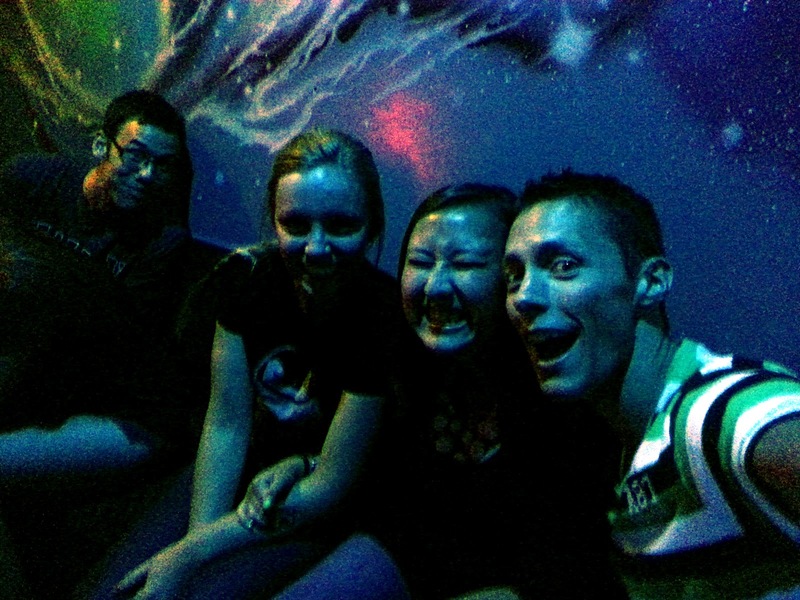 Then I went and did lazer tag with a group of friends. I totally sucked at it. Like what?! In fact, the group I went with tended to be at the bottom of the rankings. It only brought us closer together, or something like that. Getting ready to go shoot some people! Or, get shot by people rather. A lot has happened in a week, but it's been a great week. I am extremely excited for my new life down here and can't wait to get more settled. I plan on joining Cross Fit. My new job starts on Monday which I am very excited for. I have no idea what's in store there, which is pretty exciting per se.